Microneedling in a nutshell, is a mildly invasive, collagen inducing treatment that helps in the rejuvenation of the skin. This treatment is extremely popular because it activates one’s own body to produce collagen, and ultimately, reduce the appearance of fine wrinkles, lines, and acne scars. The reason for its recent popularity is because there is little to no downtime for this treatment. Clients tend to go back to everyday life after treatment, some experience mild discomfort but nothing that would cause anyone to stay indoors for an extended period of time. 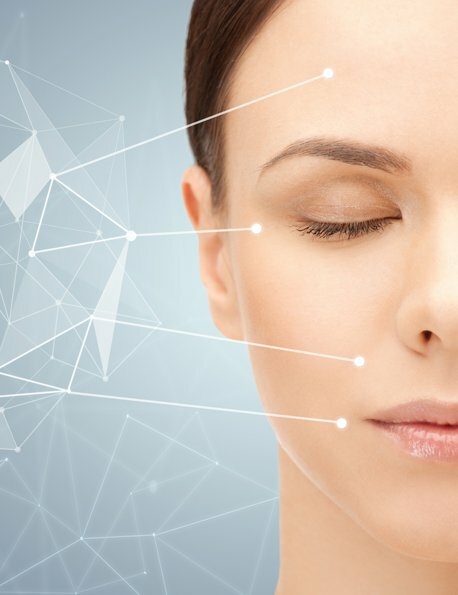 The Advanced Cell Stimulation (ACS) Pen® is a gentle, non-surgical technique that uses the body’s own healing processes to naturally regenerate healthy, younger-looking, smoother skin. The ACS– PEN® is combined with a unique Linear Needle Module which allows a pain-free treatment. It’s recommended for aged and sun damaged skin should be treated in a series of 4-6 sessions in intervals of 2 to 4 weeks. A follow-up session or a series of treatment is recommended after 9 to 12 months, depending on the skins condition. During the treatment, there is micro injury happening to the skin so the Nerve sensors signal to cells that an injury has taken place, and within minutes these injuries boost collagen production and elastin. Since collagen is key to youthful and healthy skin, the result is smoother and softer skin that is more even in tone. The results are also very natural, as it uses the body’s innate healing process. An added benefit to microneedling treatment, is that the tiny micro punctures created by the treatment allow serums used to absorb more effectively.Microneedling can be safely performed on various parts of the body, including the face, stomach, legs, arms, and chest. surrounding skin. These stubborn lines can be very difficult to get rid of, and are sometimes impossible to prevent as a result of genetics. However, microneedling’s ability to stimulate the healing process can help reduce their appearance. The development of bacteria in acne usually triggers our natural defense mechanism. However, in the process of killing off the acne bacteria, the antibodies may also cause inflammation and destruction of the surrounding dermis. When the supporting dermis is damaged, a visible depression or crater appears. This is how most acne scars develop. Luckily with Microneedling, acne scars can be a distant memory. This is how it works, as the micro needles are inserted, your nerve sensors will react, signaling that an injury has taken place. In response, your skin will naturally heal itself, producing new tissue. The collagen and elastin that is produced as a result leads to smoother skin, and the gradual fading of acne scar and/or stretch marks. The wrinkles and fine lines, which develop around the eyes or lips, are commonly recognized as telltale signs of aging. 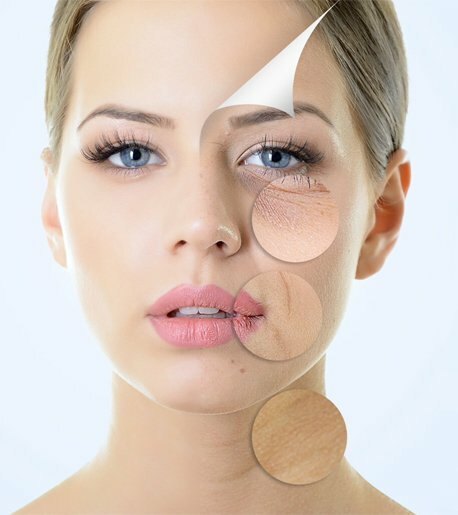 The natural aging process causes the skin’s connective fibers to break down. When we are young, the skin naturally has abundant collagen, moisture, and fat to plump out features and keep skin smooth and strong. The skin gradually becomes thinner and rougher as we age. Without the supportive connective tissue that it once had, it loses strength and flexibility. It then begins to sag and wrinkle prematurely due to gravity and loss of underlying structure. Due to repeated movement of the underlying muscles and the effects of gravity, wrinkles will form in the upper layers of the skin. As you get older, the skin will inevitably become less elastic and more fragile. Decreased production of natural oils dries the skin and we are less able to retain skin’s moisture. This can cause the skin to develop fine lines, creases, and wrinkles. Luckily, Microneedling, a non-invasive procedure, can successfully treat wrinkles and reverse the signs of aging, while preventing future wrinkles at the same time, The tiny micro wounds, created by Microneedling, stimulate the healing process; thereby increasing the production of collagen and elastin, which are key to creating thick, plump and smooth skin. Aging causes our skin to lose its elasticity which results to have those unwanted lines and wrinkles. This also cause sagging and thinning of the skin. Microneedlinggenerates the release of natural elements in the skin that improves elasticity and collagen production. Scars can be formed from a fall, from acne or an injury and may last all our life. Microneedling has the capacity to reduce those scars from the past. This procedure breaks down old tissue and triggers the production of new elastin and collagen for healthier skin. This is one of the problems of women post pregnancy or those people who gained and lose weight. Stretch marks are extremely difficult to treat and very few cosmetic treatments can improve their appearance. Micro-needling has significantly proven to diminish the appearance of stretch marks. You have read about the benefits about how Microneedling can provide healthier more youthful skin. What Microneedling does for the skin on the face can also provide desirable results for hair stimulation on the scalp. How does Microneedling work for Hair Growth – Microneedling causes micro-damage to the skin which then works to promote healthy cell renewal and collagen production. The same can be done for the skin on the scalp as it helps stimulate the hair follicle to get stronger and grow. The unique mixture that is combined with the Microneedling treatment helps with the strengthening and growth of the follicles in the skin. Clients who suffer from thinning hair such as alopecia can benefit from Microneedling for the hair. 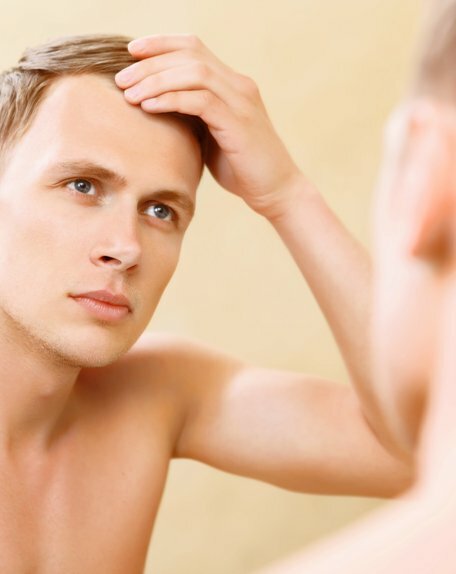 It’s an alternative to a hair transplant that provides results. How many treatments are required? In order to achieve noticeable results, ten treatments are required. Does it hurt? Microneedling for hair rejuvenation is a great alternative to traditional topical treatments. Clients do feel slight discomfort during the treatment but it subsides there after the treatment is completed. Want to know more? Call to book a complimentary consultation today.